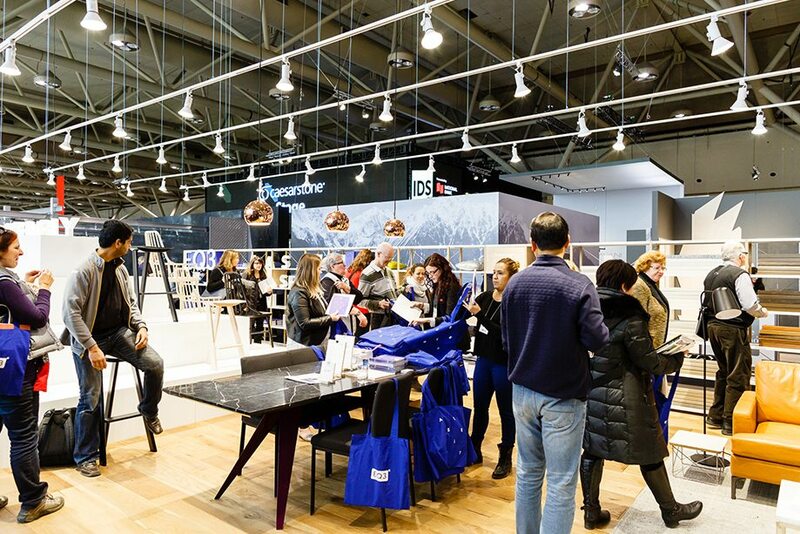 Canada’s design fair, the Interior Design Show is about to hit Toronto! Running from January 19-22, the show continues to serve as a design industry hub bringing together world-renowned designers and architects for inspiring talks and feature exhibits. There’s much to be seen during IDS, so we’ve rounded up our top 7 can’t-miss events. From 7pm-11pm on Thursday January 19th, join over 5700 design influencers to celebrate the kickoff of IDS17. Music and entertainment will be provided by Bellosound with special guests SATIN JACKETS. But it doesn’t stop there, if you’re looking to keep the party going there’s also an after party at Drake One Fifty from 11pm onwards. The PARTISANS FACTORY is part fabrication warehouse, part art studio, and part lounge party. Featuring the PARTISANS design team hand-sculpting lights throughout IDS17 and with a few special guests in on the fun, it’s sure to be an interesting and inspiring experience. Additionally, proceeds from the lights created with the help of guest artists will go towards supporting Habitat for Humanity. As part of Professional Trade Day (January 20), independent designer Nika Zupanc will speak about her work, which focuses on projects that interpret modern culture, contemporary design, and technology. She describes her work as “communicating things that cannot be told.” Zupanc has worked with a range of clients including Qeeboo and Ghidini1961 as well as producing under her own brand. Designboom Mart is an international design market that allows 30 creative professionals from around the world to introduce their work to a Canadian market. Visitors are able to purchase pieces directly from the designers which creates a deeper sense of interaction and connection with the work and the meaning behind it. The first installation in artist-designer Jaime Hayon’s yearlong collaboration with Caesarstone will have its first exhibition at IDS17. The piece creates a whimsical universe where fantasy meets functionality. Hailing from Madrid, Hayon’s work blurs the lines between art, design, and decor. He has been featured in many art and design publications and has received multiple awards. Stone Age Folk utilizes over 48 different Caesarstone colours along with metal and glass and attempts to show Caesarstone as a material that can be used beyond kitchens. Hayon will also give a talk discussing the project further on Professional Trade Day. The Studio North & Prototype marketplace offers a space for over 65 Canadian and international designers to showcase custom work and limited-edition collections to the design industry, media, and audience. Designers working in furniture, lighting, glass, ceramics, textiles, and surface design are able to show unique one-off and custom pieces in a gallery-like setting. This year’s guest of honour is architect David Adjaye. Adjaye cites influences from contemporary art, music and science to African art forms and the civic life of cities. Throughout his career he has designed many well-known and prestigious structures with his studio Adjaye Associates around the world. Most recently he was the lead designer for the Smithsonian Institute National Museum of African American History and Culture in Washington DC. With offices in London, New York, and Accra, Adjaye Associates continues to produces work that is at the forefront of worldwide design and culture. He will give a talk on Professional Trade Day.